Drink Your Chia! | Eat More Plants. I’ll take any excuse I can get to use chia seeds. I love them. One of the only seeds/nuts that our bodies can readily absorb nutrients from without being ground up or soaked first. Good stuff those chia seeds! I’ve been seeing these chia seed drinks, some with kombucha some without, and they’re pretty expensive. I know, sometimes it’s just out of convenience that we grab ready made drinks or food. But personally, I have no reason to be in a rush, so I can’t justify buying a lot of things like that. How much does a bag of chia seeds cost? 11-12 bucks? And how much do those drinks cost…4-5 bucks each. You can make one chia drink with 1 & 1/2 tablespoons of chia seeds…more drinks can be made from one bag of seeds than you could drink in a month!! 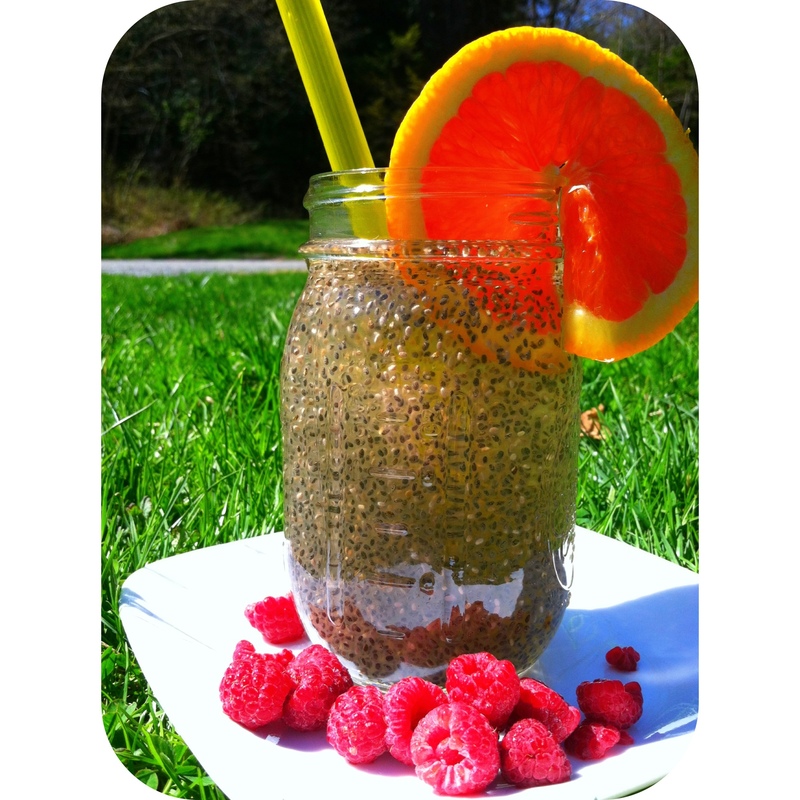 If you’re not familiar with the way chia seeds taste, try this on a small scale first. Mix 2 teaspoons of seeds into a cup of water, whisk and wait 15 minutes for them to absorb as much water as possible. It reminds me of the texture of raspberry jam. I love it! Admittedly, it’s a bit strange at first. Frozen raspberries are my favorite thing to add to this. Just make sure you have a wide straw, like one for bubble tea, so that your straw doesn’t get clogged. Whisk together all your ingredients (except raspberries, if using). Let your drink sit and whisk every few minutes until you see your seeds plump up and begin to float around. Usually takes about 20 minutes before you get a gel-like texture. Note that this will not be the same consistency as chia pudding, which is much thicker. Thanks for sharing this. I love chia seeds in my morning oatmeal – but I admit that this is my favorite method because it disguises the texture a bit. Perhaps I should just embrace the gel and give this drink of yours a try!